Full curly auburn hair falls about the high cheekbones oval of her face where warm blue grey eyes reside. Age has been good to the woman and her warm peach skin is visibly unmarried by wrinkles save for a few laugh lines. A woman of average height and frame, she carries a few generous curves here and there. She carries herself with a sort of calm confidence. She wears the golden yellow of House Beesbury bedecked in the black embroidery of honeycomb along her sleeves and neckline. Lyman Beesbury is in King's Landing as Master of Coin in the Small Council. An example of what happens when a House gets a little too nosey in the seedier side of Oldtown affairs. Usually, the house had very little interest in the pirate activity of Oldtown. Until their heir ran off to become a pirate! When there were rumours of Lord Mikael Beesbury being last seen on a supposed pirate ship several years back it caused Lord Corben Beesbury to investigate. Corben was getting very close to discovering where his eldest had gone off to, alas his death cut the efforts short. Corben left behind a widow, Bethally, and a young son, Corden. Then, of course, there's also Mikael Beesbury who's actually doing quite well for himself upon one of Oldtown's naval vessels. Mickey is how he's known in Oldtown. Bethally and Corben are still staying in Oldtown since the funeral. Bethally cares for the city life and does still hope to find Mikael. Only then she has vowed will she return to Honeyholt. 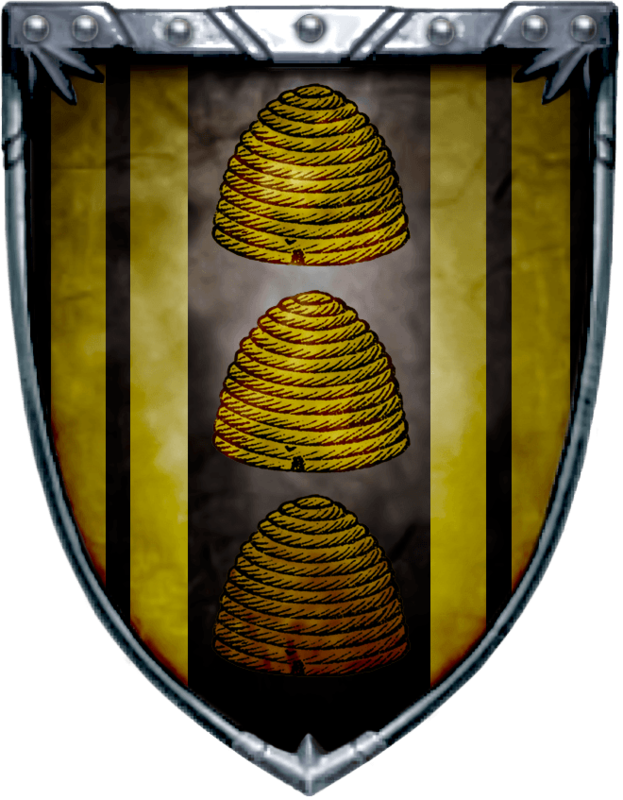 Lyman's wife, Agatha, who was from House Mullendore before marrying him is in charge of Honeyholt. She was a great deal younger than Lyman and is in very good health and happy to hold down the fort as it were until her grandson, Corden becomes of age to take up the title. That is unless Mikael is found and returned home. Because then he would be Lord of Honeyholt.